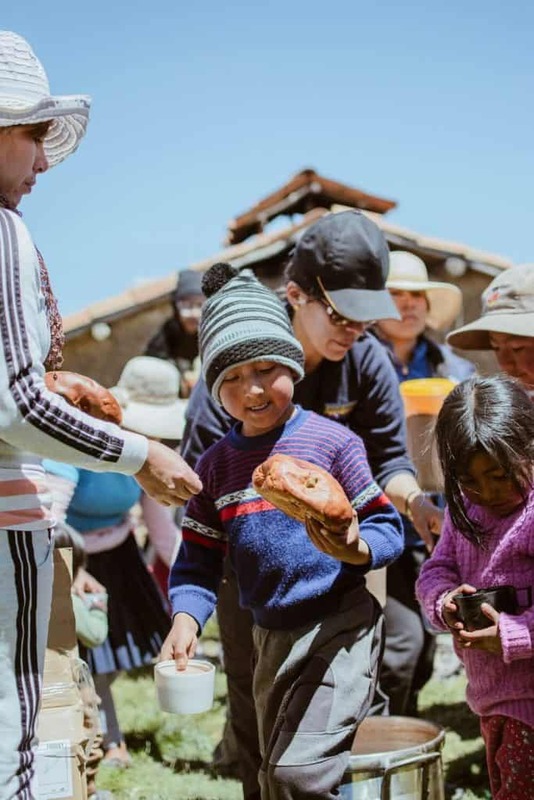 If you follow Apus Peru, you know that responsible travel is at the heart of what we do. One of the pillars of responsible tourism is social sustainability. We have contributed to social sustainability through various initiatives over the years, including educational projects, clothing drives, and our annual Christmas chocolatada. You will also know that in 2009, we went one step further and, along with two Canadians, founded Threads of Peru. Threads of Peru is a Peruvian non-profit organization dedicated to supporting rural indigenous women and revitalizing ancient textile techniques. Threads of Peru currently supports about 130 women in 7 communities from 4 different regions of Cusco, each with its own rich textile tradition. Let’s take a quick look at 2018 in review. In mid-2017, Threads of Peru had the incredible fortune to partner with New York-based designer, Jennie Lyutskanov, thanks to the artisan-support organization, Nest. Although originally brought in to give Threads of Peru design advice, Jennie ended up designing an entire home and accessories collection. It was the first time Threads of Peru had ever done anything like that before, and January 2018 was the time to let it shine. After a month feverishly putting together a glossy new catalogue, in February Threads of Peru Project Coordinator Ligia Gomez headed off to New York City to attend the illustrious NY NOW trade show. Nest even hosted a special media event for Threads of Peru post-show to further draw attention to our collaboration, and the resulting collection. Following the NY NOW trade show and a subsequent appearance at Peru Moda, Threads of Peru spent the second quarter of the year filling orders. The new collection was a hit! Thanks to this design collaboration, the artisans saw a major increase in income. Most groups earned between 129% and 200% more than they did the previous year. A weaver in Upis is setting up her loom to continue working on a Pallay pillow. Given the success they saw resulting from our 2017 collaboration with Jennie, they were eager to have her come back. In 2018, however, they would have to find another way of supporting her journey back to Peru. With the help of volunteer Meriem Hammoutene, Threads of Peru ran a Start Some Good campaign to raise funds to support a new collaboration with Jennie. They were truly humbled by the support that poured in, and successfully raised $6500 – exceeding their initial $5000 goal. Sneak peak from Threads of Peru’s 2019 Collection! In July, Jennie returned and got to work developing an all-new collection which they hope will find just as much success in 2019 as the previous one did in 2018. In August, 2018, the Threads of Peru team received an unexpected email in their inbox: a nomination for the Award for Sustainability in the Universe of Luxury in Latin America, in the category of Fashion & Accessories. The award, then in its 7th year, is run by the Center for Studies on Sustainable Luxury in Buenos Aires. To their even greater surprise, a month later Threads of Peru received the exciting news that they had won! In October, Ligia travelled to Buenos Aires to receive the award. Such an honour! This year, Apus Peru decided to team up with Threads of Peru for its annual chocolatada. In mid-December, our combined crew travelled the 3 ½ hours out to Upis where we were met by a few of the weavers in the Awaq Mayki weaving association and a lot of kids! Excitement definitely filled the air as the kids eagerly looked forward to filling their bellies with hot chocolate and sweet breads. >> Want to join our next chocolatada? You can! Check out our 5-day Christmas Chocolatada Trek. 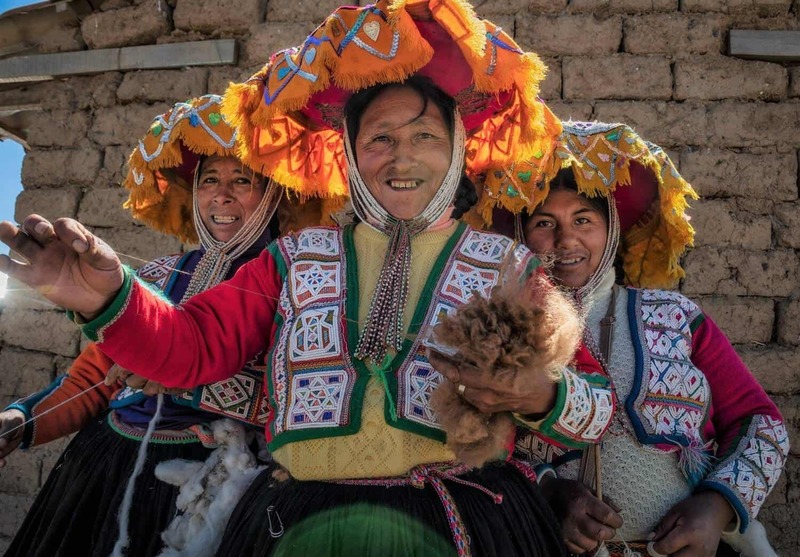 Threads of Peru is getting ready to launch their 2019 Collection very soon, but perhaps more excitingly, they will be launching a new Textile Tour in partnership with Traditions Mexico! 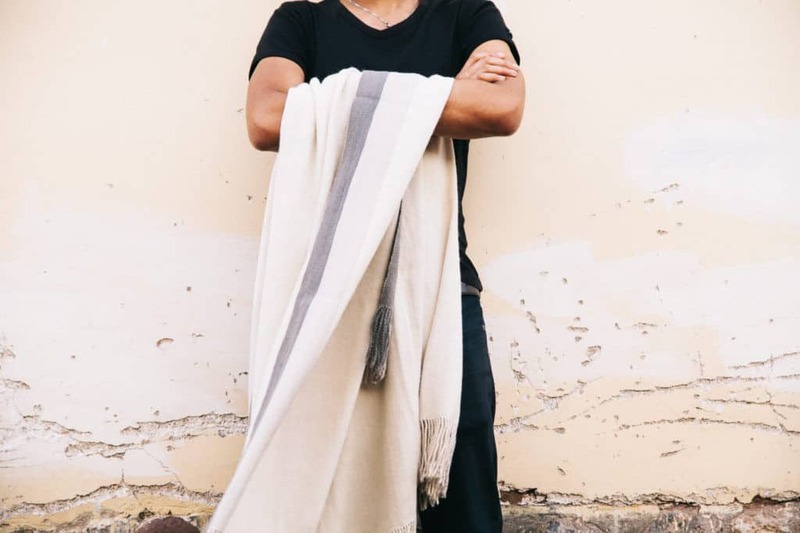 This tour will be an incredible in-depth immersion into the Andean textile tradition, and will include an exclusive opportunity to travel to nearly each of the weaving communities Threads of Peru works with. >> Don’t miss out on this unique textile tour! Find all the details here. Stay tuned as we update you throughout the year on Threads of Peru’s progress! >> Want to be the first to know news and more from the Andes? Sign up to our mailing list below!